Zombies are all the rage these days from hit Hollywood movies, to the critically acclaimed The Walking Dead television series; with some cities even sponsoring Zombie runs. 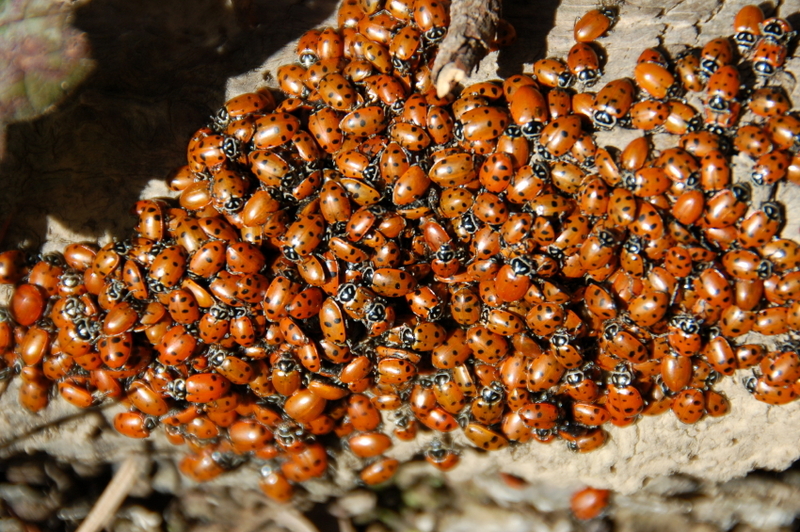 In the bug world, we’ve become acquainted with zombie ants and zombie bees; now we can add zombie ladybugs to the mix. In news of the completely cool and awesome, one sting from a parasitic wasp can inflict a newly discovered virus into a ladybug; turning the ladybug into the wasp’s zombie slave. In the insect world, stings from wasps aren’t always intended to kill or ward off an intruder. In the case of a parasitic wasp, Dinocampus coccinellae, stinging a ladybug will turn the beetle into a zombie babysitter of sorts. 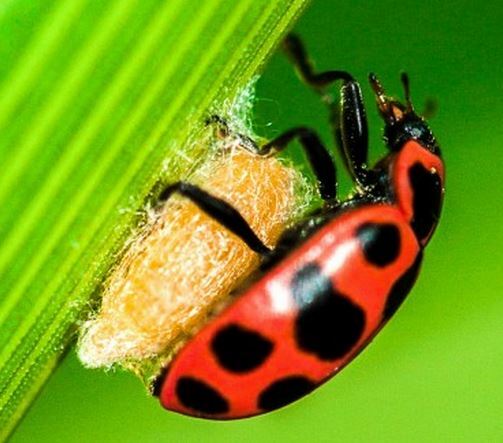 When the parasitic wasp stings the ladybug, it lays its egg inside the hapless creature. The incubating ladybug goes about it’s business for weeks as the parasitic wasp larva grows within it; feasting on its internal organs. Three weeks later a wasp larva bursts from the ladybug’s belly and weaves itself a cocoon; a cocoon that will be attached to the undercarriage of the bug. You’d think the process would kill the ladybug, but no. The bug simply becomes paralyzed. The virus then takes over the ladybug’s brain. The ladybug starts to involuntarily twitch, and full zombie transformation has occurred (minus the whole eating brains thing). The poor zombie bug essentially becomes a zombie bodyguard, protecting the wasp egg with its life; watching over the young and fighting off predators. An adult wasp will emerge from the cocoon a week later. Remarkably, about 25 percent of these zombie ladybugs will recover and return to their non-zombified selves; some even get stung and infected again! Scientists are studying the process, looking at the potential of the virus being used as a neurological weapon… Used to turn people into zombies! The cool and crazy insect world continues to amaze!